Lots of organization chart examples created by Edraw Organizational Chart Software. 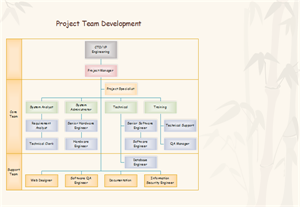 Include team organizational chart, computer organizational chart etc. 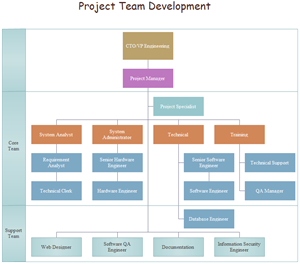 With Edraw Organizational Chart, you can create clear and comprehensive team organizational charts with no prior experience. As you can see by studying the sample organizational chart below, these types of charts are the ideal way to illustrate the inner structure and hierarchy of a business or any other type of organization. Nothing is left unclear when structural relationships are illustrated by an organizational chart created with Edraw - the ultimate organizational chart software. Use it to create organizational charts, visualize team organizational chart, information department organizational chart, company organizational chart, restaurant organizational chart, library organizational chart, information technology organizational chart, corporate organizational chart, etc. 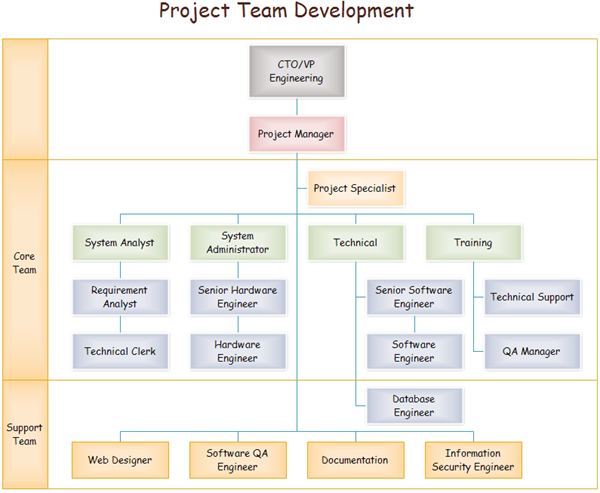 Perfect Team Organizational Chart Examples Created by Edraw! The following are some samples of team organizational charts. As you can see from the picture, the employees are divided into 3 groups by two brackets: heads, Core Team and Support Team. There is another way to achieve this purpose - Cross Functional Shapes. They are divided in Flowchart group. 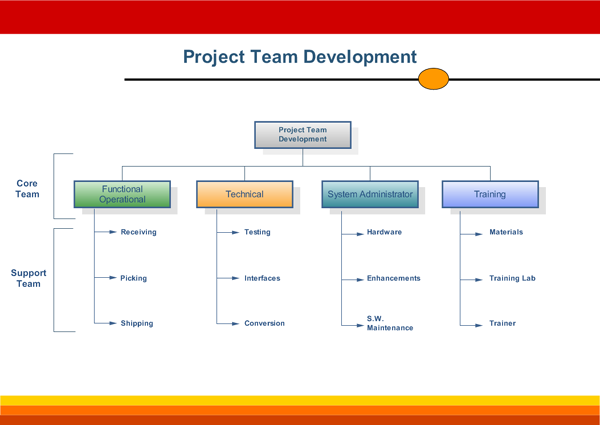 Here is another team organizational chart example. Click this picture to download its PDF and editable format. You can make a few modifications to change its look, such as apply another theme or background. Only two clicks are required for a brand new look.